White House Ridicules Press: You Guys Are Confused, Trump Never Said That Russia Didn't Meddle [VIDEO] - Joe.My.God. 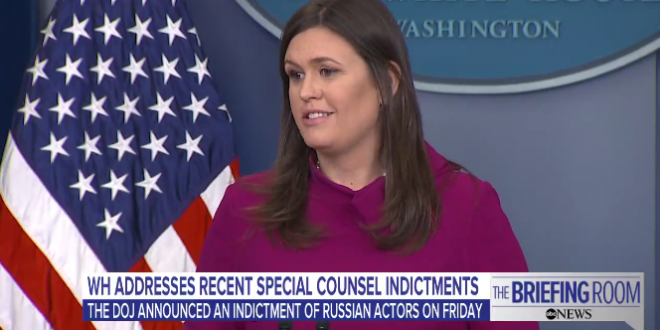 White House Press Secretary Sarah Huckabee Sanders insisted to reporters today that President Trump has accepted that Russia meddled in the election. The first question of the press briefing, from NBC News’ Kristen Welker, concerned whether President Trump finally accepts that Russia meddled and influenced the 2016 election.